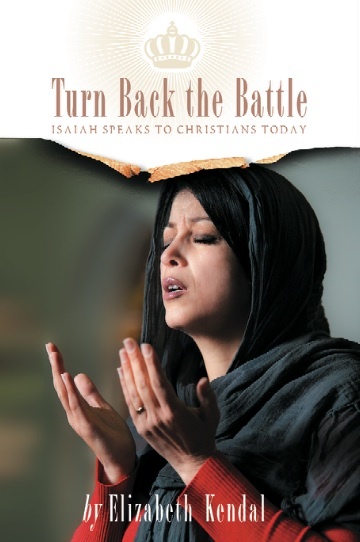 RLPB is published weekly to facilitate strategic intercessory prayer. Somalia is a failed state and one of the most dangerous places in the world to be a Christian. The population is 99.8 percent Muslim and the Christian charity, Open Doors, has placed it third on its World Watch List 2019, describing the persecution as 'extreme'. 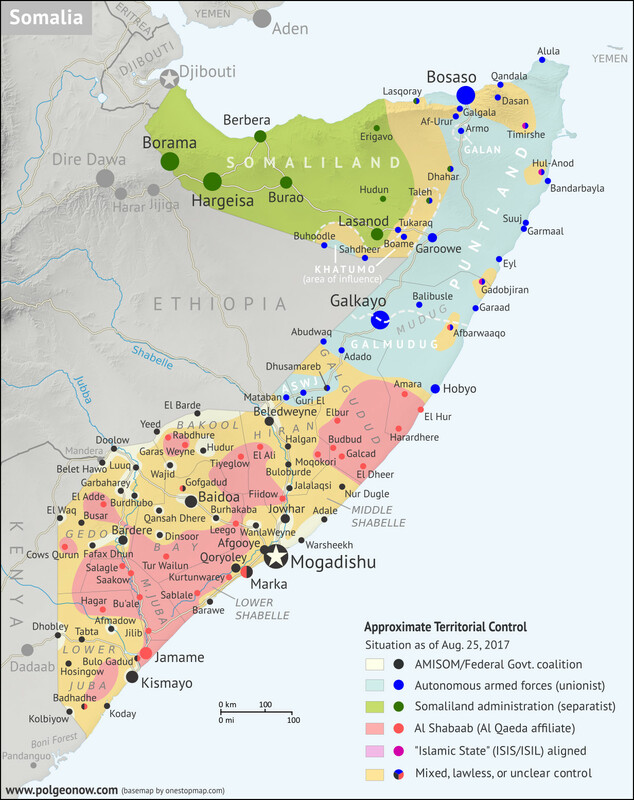 Whilst Islamic State (IS) does have a presence in Somalia, the main terror group operating there is al-Qaeda-affiliate, al-Shabaab [see RLPB 411 (21 June 2017)]. 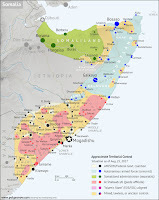 Both groups hunt down and execute Somali converts to Christianity, often with the assistance and support of thoroughly radicalised local Muslims who view Christianity as the religion of the colonisers (Italy and Britain) -- a religion that has no place in an independent Somalia. In September 2008 Mansuur Mohammed (25) became the first ethnic Somali convert to be martyred for Jesus Christ by al-Shabaab in Somalia. Since then, dozens have been martyred. There are 25 entries for Somalia in the RLPB archive and almost every entry tells the story of yet another ethnic Somali Christian martyr. They have names like: Abdishakur, Abdikhani, Farhan Haji, Juma Nuradin, Hassan, (Ms) Asha, (Ms) Fatima Sultan, Abdullah, Ali, Hussein, Sheik Mohammed, Maaddey, Osman, Abdikarim and (Ms) Sofia Osman who survived despite being flogged almost to death. These are names in the Lamb's Book of Life! 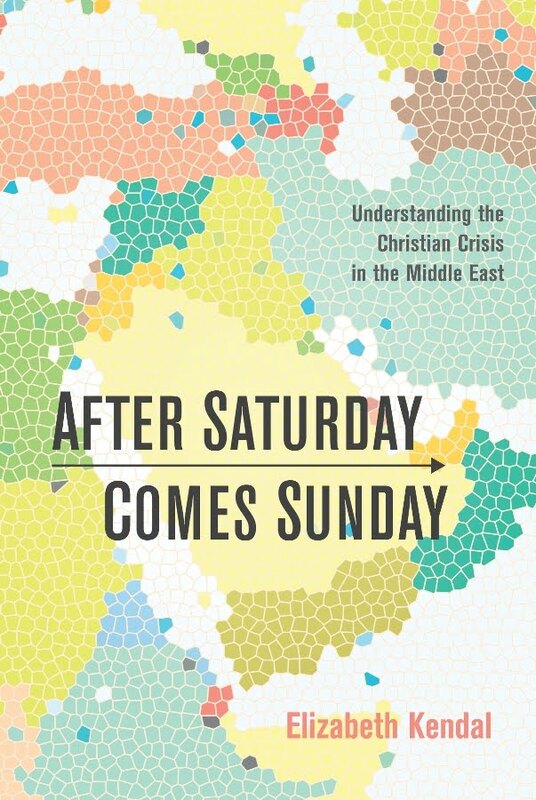 Christians tend to flee Somalia. However, despite its small mustard seed-like size, Somalia's buried/planted, 'underground church' has taken root and is growing. Meanwhile, al-Shabaab is recruiting both across Somalia and in Kenya, allegedly tempting disgruntled and unemployed youths with the offer of a 'hefty' salary. Civil war (commenced 1991) has resulted in a whole generation of Somalis being lost to displacement and famine. The Somali Diaspora (overseas communities) is estimated at being more than one million. Those with means fled to the US and EU; those without means crossed the border into Ethiopia or Kenya. At its peak the Dadaab refugee camp, in eastern Kenya's Somali-dominated Garissa County, housed around 500,000 displaced Somalis. While more than 100,000 have accepted assistance for voluntary repatriation in the past two years, Somalia is still anything but stable. At least in the refugee camps Somalis have access to Kenyan and international aid workers and teachers, many of whom are Christian. 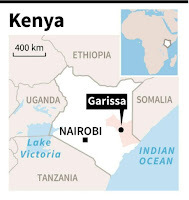 Likewise, the city of Garissa is home to many courageous, mostly Kenyan Christians who work tirelessly and sacrificially to minister to 'harassed and helpless' ethnic Somalis in a place of freedom (Matthew 9:35-38). That said, even inside Kenya, Christians ministering to Somalis must be 'wise as serpents and innocent as doves' (Matthew 10:16), for the work is incredibly dangerous. After all, most Somalis who flee to Kenya bring their fundamentalist Islam and hatred of Christianity with them. Like a shield encapsulating the heart, it requires a breakthrough of the Holy Spirit to breach and finally shatter it. Fortunately, the Spirit of God is there with grace and in power, both in war-wracked Somalia and in Kenya's Somali-dominated eastern regions. Al-Shabaab has repeatedly targeted Kenyan Christians in Garissa County, especially teachers whom it assassinates because they might influence ethnic Somali youths as they receive an education in Kenya they could not receive at home [see RLPB 411 (21 June 2017)]. The worst single attack occurred on 2 April 2015, when al-Shabaab attacked Garissa University College, slaughtering 148 Christian students and wounding a further 79 [see RLPB 304 (8 April 2015)]. Despite all the obstacles, an ethnic Somali Church has taken root inside Kenya and is growing. Though it might have freedom in Kenya, that does not mean it is safe. * mercifully intervene in Somalia to bring peace and freedom; may al-Shabaab's financial backers be exposed; may all financial backing cease; may all lines of supply be severed; may al-Shabaab's life-source dry up. 'Break the arm (mechanism of action; source of power) of the wicked and evildoer; call his wickedness to account till you find none.' (Psalm 10:15 ESV). * lovingly bless, sustain and protect the vulnerable, underground Somali Church and all who serve her, both inside war-wracked Somalia and in eastern Kenya's Garissa County. * faithfully walk with Pastor Abdul, his wife and their children, to guide, deliver and comfort them as they make decisions about their future; may the Lord protect and provide for his flock in Garissa. * graciously raise up and send out more labourers into his harvest field of 'harassed and helpless' ethnic Somalis. We pray especially that the Church in Kenya might be seized with the urgency of this mission. 'For the kingdom of God does not consist in talk but in power' (1 Corinthians 4:20 ESV). Somalia is one of the world's most dangerous places to be a Christian. Al-Shabaab hunts down and executes Christian converts. Somali Muslims maintain that Christianity has no place in Somalia. Civil war and famine have forced hundreds of thousands of Somalis to flee into Kenya, where they have access to Kenyan and international aid workers and teachers, many of whom are Christian. A small and vulnerable ethnic Somali Church is taking root both inside war-wracked Somalia and in eastern Kenya's Somali-dominated Garissa County. Kenya might offer freedom and opportunity, but the work among Somalis is still incredibly dangerous. On 8 March Pastor Abdul (Somali, aged 30, married, father of three) was severely beaten in Garissa by Somali Muslims. Though relocated, his family fear for their lives. Please pray for the Somali Church.